Simon Sinek – the famous British-American motivational speaker said once that, ‘Goor Marketing Offers Us A View To the World. Bad Marketing Offers Us A Product To Buy’ and it seems that K-Town’s famous eatery acted upon the quote. Karachiites are food lovers that’s why every fast food cafe or restaurant tries their best to grab them with smart tactics. Unfortunately, Slamvich followed the marketing strategy of Hardees and people got offended for all the right reasons! Slamvich shared a post from their official Facebook page which scoffs at the official harassment and it is obviously not cool! Soon after sharing the post, people started criticizing the eatery for making fun of the very sensitive social issue. What a sick, horrible and pathetic post by Slamvich. Please make sure your humour is on point and not hideous. 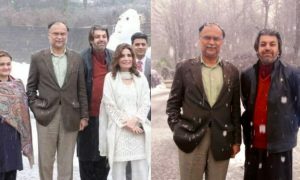 And Many Social Media Users Enjoyed It! by Using Such Cheap Tactics, Slamvich Is Losing Their Customers! The Large Audience Has Been Catered! 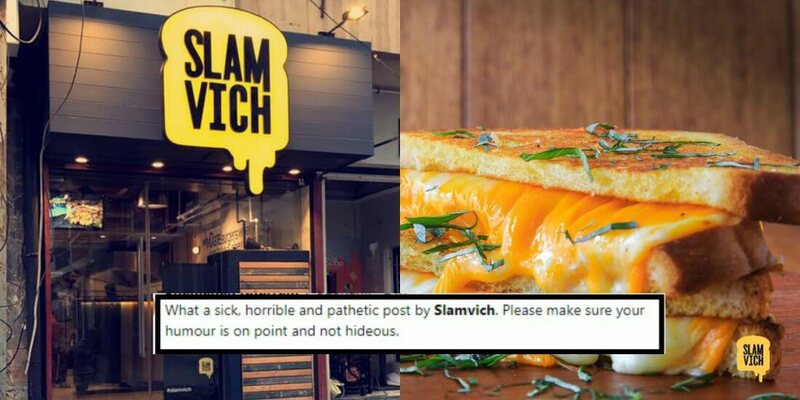 This is not the first time, Slamvich is promoting their sandwiches like this in the past as well and people are wondering what their marketing strategies are! It is a fact that controversial content goes viral on social media in no time and brands use this approach for promoting their product. Of course, Slamvich has earned the attention they wanted through a witty marketing strategy but not for the right reasons!